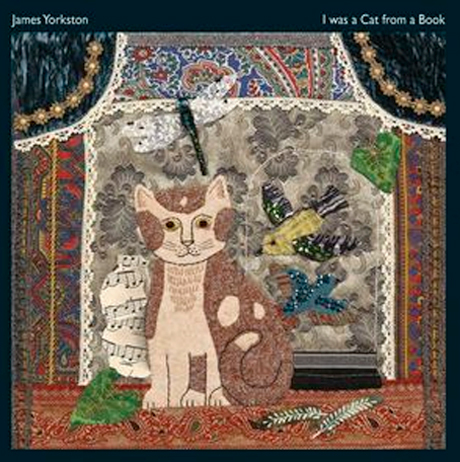 Scottish folksmith James Yorkston last left listeners with his 2009 collection of traditionals, Folk Songs, but a batch of Yorkston originals will be delivered this summer on his upcoming I Was a Cat from a Book. Domino has announced that it will release the new record on August 13 in the UK. The first album of new material since 2008's When the Haar Rolls In, I Was a Cat from a Book was recorded over a five-day stretch at Bryn Derwen Studios in North Wales. It was produced by Yorkston and Dave Wrench, and finds the folk artist joined by a backup band made up of members of Lamb, the Cinematic Orchestra and other friends. You can grab a sneak peek of the platter via the stream of new number "Catch" down below. The CD and digital versions of I Was a Cat from a Book contain 11 tracks, but the double ten-inch pressing of the set will also feature bonus songs "Thar She Blows" and "Black Horse White." A special box set edition of the album will contain the CD, the vinyl, a live DVD and "printed backgammon pieces and dice to be played on the LP gatefold."